“Beyond the Rainbow: The Judy Garland Musical,” Arundel Barn Playhouse, Old Post Road, Arundel. 8 p.m. Tuesday-Saturday, Wednesday matinees at 2 p.m. Also Friday, Aug. 26 at 2 p.m. 985-5552 or www.arundelbarnplayhouse.com. The Gunther Brown Band concert, to benefit Hope Acts/Friends of Burundi, 7-8 p.m., Thornton Heights United Methodist Church, 100 Westbrook St., South Portland. Donation $5. 774-0487. Free concert, Rustic Overtones, Eric Bettencourt and Velourosaurus, 2 p.m., at Deering Oaks Park bandstand, Portland. Proceeds benefit charities supported by CCSO TRIAD events. alex@ecmgevents.com. 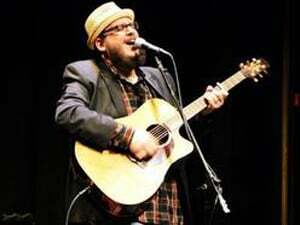 Blues-rock musician Popa Chubby, 8:30 p.m., at The Brickhouse, Broadturn Road, Scarborough. $25. 426-6434. Book signing, Bill Diamond signs “The Evil and the Innocent,” 4-7 p.m. at Shaw’s on Route 302, North Windham. “The Hunger Games,” free screening, 2:30 p.m., at Portland Public Library Teen Room, Rines Auditorium of Main Library, Congress Street, Portland. Native American Market, 10 a.m.-3:30 p.m., Sabbathday Lake Shaker Village, Route 26, New Gloucester. Free admission. Crafts, music, story telling, demos by Maine’s four tribes. 926-4597 or www.shaker.lib.me.us. “Portland’s Greatest Conflagration,” author Michael Daicy discusses new book about the 1866 Portland fire, 1:30 p.m. at Westbrook Historical Society, 426 Bridge St. Free. Teen after hours, 7-9 p.m., Portland Public Library. Pizza party for teens ages 12-19. Video games, more. Spring Point Ledge Lighthouse, South Portland, open 11 a.m.-3 p.m. Also open Labor Day weekend (Sept. 15), Maine Lighthouse Day and Oct. 6. “Love & Haight” by Susan Carlton, book discussion for ages 12-19, 5 p.m., at Portland Public Library Teen Library. Moderator is King Middle School Librarian Kelley McDaniel. Maine Narrow Gauge Railroad, daily 10 a.m.-4 p.m., 58 Fore St., Portland. Train rides along Casco Bay on the hour. Tickets at the museum. www.mainenarrowgauge.org or 828-0814. Local art exhibit, West Buxton Public Library, 34 River Road, Buxton. Show hours Tuesday and Thursday 4-8 p.m., Saturday 9 a.m.-1 p.m. 727-5898 or crabanna@gmail.com. “The Draw of the Normandy Coast, 1860-1960,” at Portland Museum of Art. 775-6148. Gunther Brown Band presents a benefit concert at Thornton Heights UMC, South Portland, Thursday, Aug. 23.